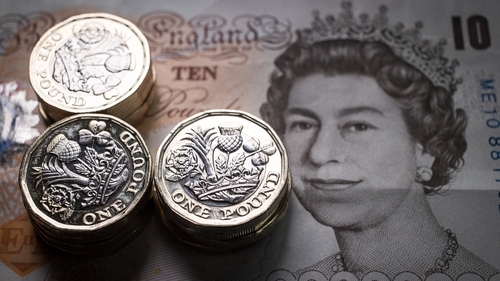 The pound stumbled below $1.31 after a delay of up to six months to Brexit left traders scratching their heads about the direction for the British currency, with few expecting wild price swings in the months ahead. The overnight deal at an emergency EU summit to postpone Britain's exit from the bloc to October 31 meant it would not crash out on Friday without a treaty to smooth its passage. Prime Minister Theresa May's request for a shorter delay to June 30 was rebuffed by the 27 EU member state heads of government. That partly reflects the removal of an immediate risk of a no-deal Brexit - which was expected to have hammered the pound -but it is offset by prospects of a British Conservative Party leadership vote for a replacement for May, a general election, and the threat to the British economy of further uncertainty. "It isn't brilliant for the economy, to add uncertainty on top of uncertainty," Societe Generale currencies analyst KitJuckes said, while adding that creating more time to prepare for leaving the EU would help support the economy. May has lost her previous attempts at getting her withdrawal deal passed by Britain's parliament.